Students will choose one of two emphases within the program, sport or recreation. Each emphasis shares a 27-30 hour SRA core and an additional 12 hours for the emphasis. Please check out the degree program outline (PDF) for the exact coursework needed to complete your degree. Students are presented with the most contemporary knowledge and practices to manage leisure and recreation programs to improve the health and well-being of all people. 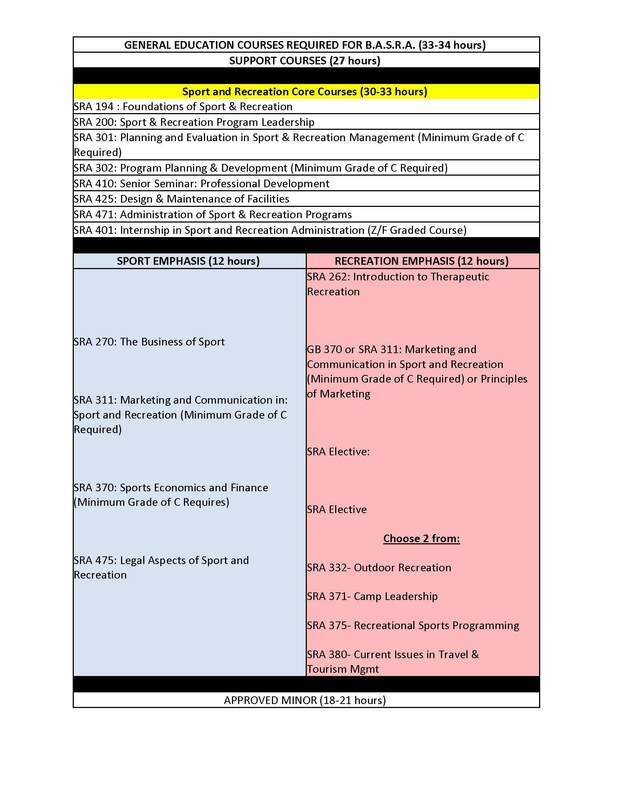 Students must complete an approved minor to augment their sport and recreation major to further strengthen their professional credentials. Below are approved minors (subject to change, check with your advisor).